The secret of becoming a top rated and highly regarded university? Strengthen your reputation by improving the university experience! 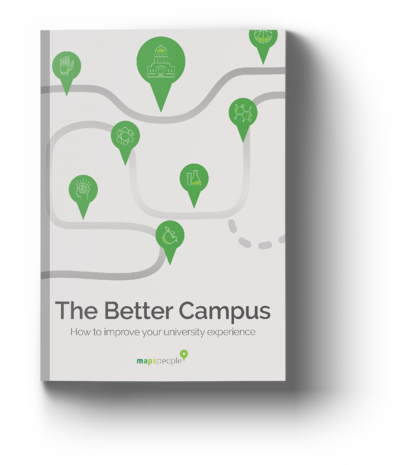 In this free ebook, we’ll provide you 6 ways to improve your university experience by implementing an indoor navigation solution and show you real life cases that already improved their overall campus experience. Empower students to navigate themselves through your campus. Optimize the communication flow towards students, staff and visitors. Reduce time and stress for students. Decrease maintenance cost for signage and campus maps. Keep pace with the demands of the digital natives. Eliminate late student and professor arrivals.